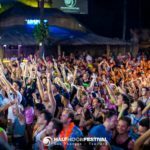 One of Koh Phangan’s original dance events. 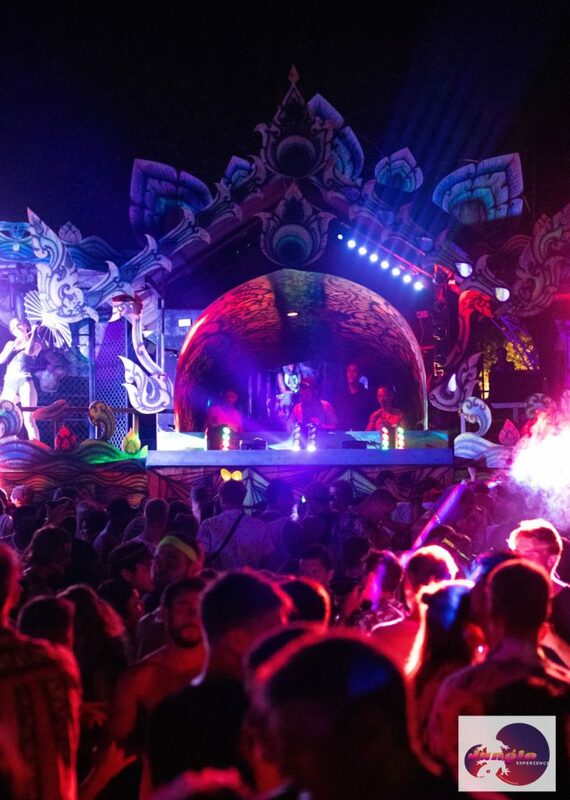 Jungle Experience is famous for its festival atmosphere, set in the magical jungle location of Baan Tai. 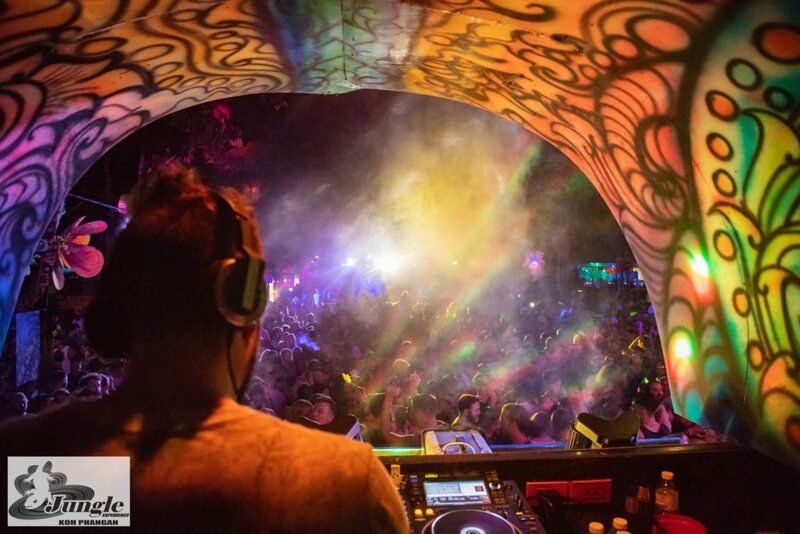 This open air party takes place 1 day before the celebrated Full Moon Party. 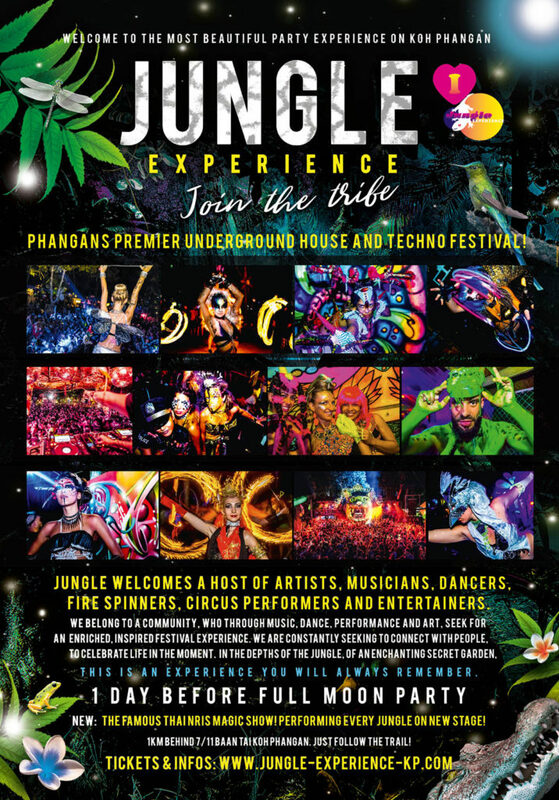 Jungle Experience has grown into one of Thailand’s major music events, blazing a trail in the tech and progressive house scenes on Koh Phangan. Jungle Experience is a party wonderland, enhanced by out-of-this-world UV decoration, sculptures and fluorescent artwork. A mountain stream meanders under wooden bridges, carving walkways to an enchanted secret garden, where talented sports men and women honour the respected martial arts of Muay Thai. Among the trees on the dance floor, skilled fire spinners, drum circles, laser shows, a magic show, quirky costumes designs entertain the party crowd into the break of dawn. This is the place to get dressed up in your best sparkly outfit. 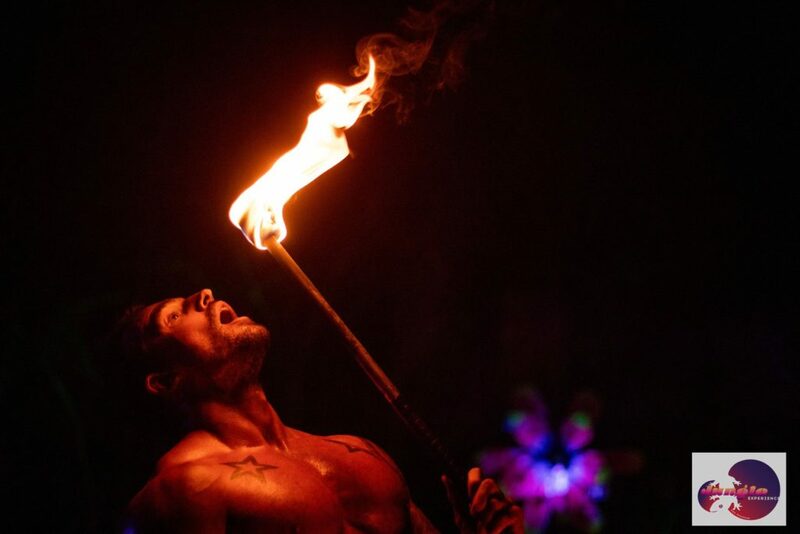 Nothing is too outrageous at Jungle Experience. 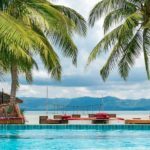 Check Facebook for complete schedule: Jungle Experience Koh Phangan.